The International Brotherhood of Teamsters and Joint Council 16 are mobilizing Teamster members to support the people of Puerto Rico in their time of need. “This is a humanitarian crisis of epic proportions. It is imperative that we provide the manpower and financial support necessary to get Puerto Rico on the road to recovery.” – Teamsters International Vice President and Joint Council 16 President George Miranda. Puerto Rican government officials and labor leaders have informed us that they need commercial drivers, sanitation workers, and other skilled workers to assist with relief and recovery efforts. 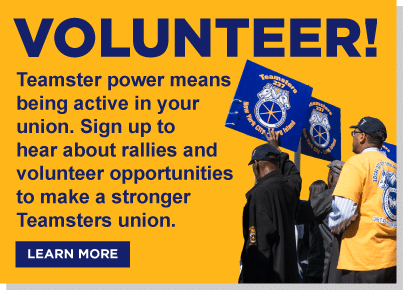 If you would like to travel to Puerto Rico with the Teamsters to volunteer, please fill out the form below. There is not space on the plane for everyone who applies, so please provide as much information as you can so we can determine if you are right for this effort.